Today was lovely - I went to brunch in the Castro with my friend Lisa, and after stuffing ourselves on gourmet San Francisco versions of sausage 'n' biscuits and corned beef hash, we walked off our meal by wandering the neighborhood. I bought a bunch of fun little things for potential use for still lifes, including this dahlia. 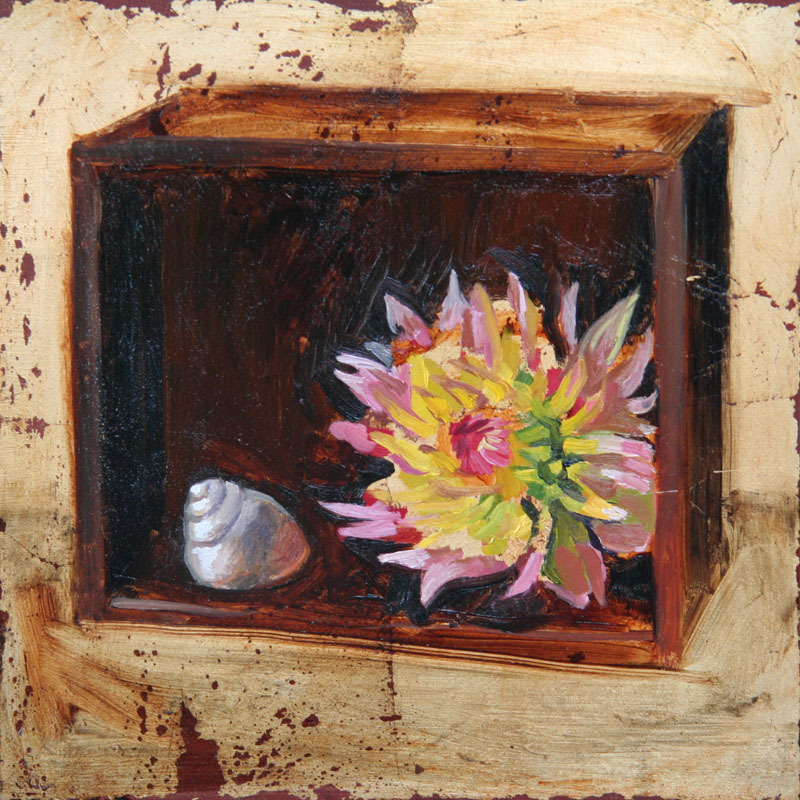 I'm excited about the idea of arranging my miniature still lifes in a little box like this, I might do it as a series.